This article provides Tips and Tricks for using string in C#.Net. Most of the applications are required to pass a string with double quotes to the sqlparameter to execute a stored procedure. 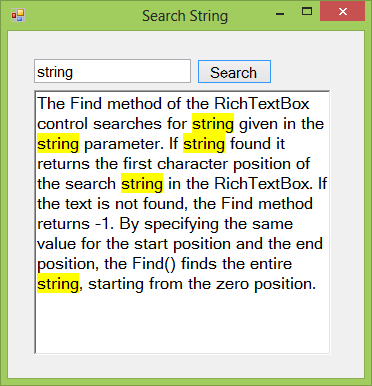 The Find method of the RichTextBox control searches for string given in the string parameter. 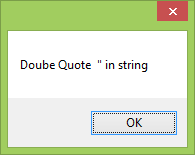 If string found it returns the first character position of the search string in the RichTextBox. If the text is not found, the Find method returns -1. By specifying the same value for the start position and the end position, the Find() finds the entire string, starting from the zero position. 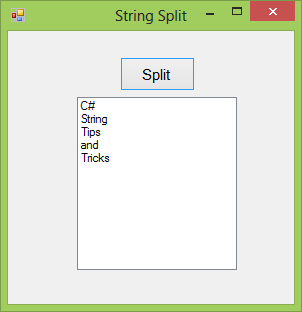 This C# tip shows the string.Split method. 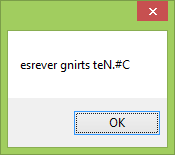 It uses a character to split given string. Rizwan Khatik has written 6 posts. I work as a freelance consultant and is passionate about taking challenges in all technologies. I am a software consultant and trainer with 8+ years experience in designing, development and maintaining enterprise wide applications. My interests involves Programming, Website development, Learning and Teaching subjects related to Computer Science and Information technology.